Info from the above link: Learning to Fight, Learning to Heal. 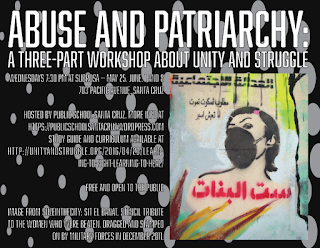 Like everybody else, Unity and Struggle members have grappled with how to address abuse and patriarchal behavior in our society, and in left organizations including our own. We don’t have easy answers, but we’ve found it helpful to study the nature of abuse under capitalism and different responses to it. Here is the syllabus for an abuse study that some U&S members and friends are currently test-driving in several cities, based on interest. 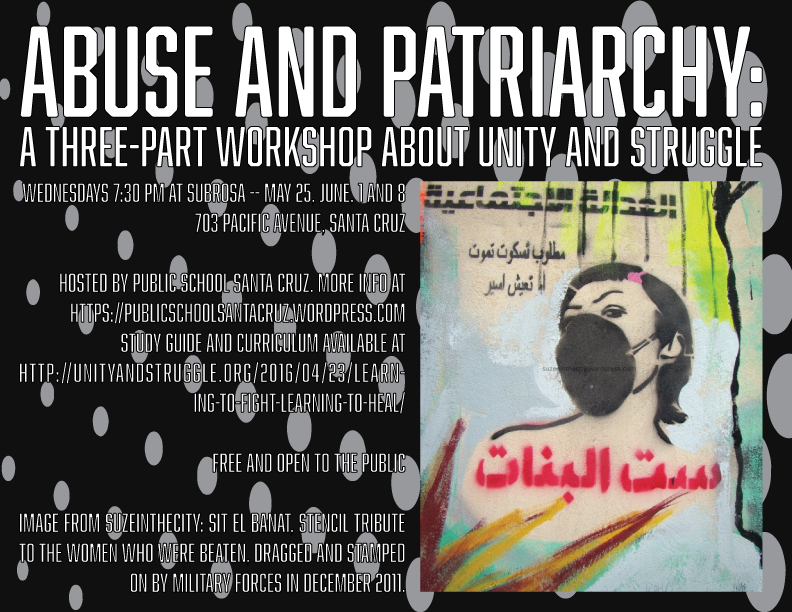 We hope other groups will take up the reading list, adapt it to their needs, and use it to craft responses to abuse in our movement and lives. -Friday, May 27th, 7pm: A Show! with Drain and more! Yeah, i actually don't know much about this show but i'm sure it's gonna be great! -Saturday, May 28th, 7pm: Another Show! with Fader, Inle Elni, and more! For actual kids and everyone! Come hangout with some rad folks. Dip into the art supplies box...read a book from the bottom shelf of the anarchist library with lots of books for kids!